Small projects are my favorite projects! I love making things you can finish within 1 evening or less :). So here’s a little bird. It’s so quick to make you can easily make a whole flock! You can use any yarn, as long as you use the right hook size. Here is how to find the right hook size for your yarn. 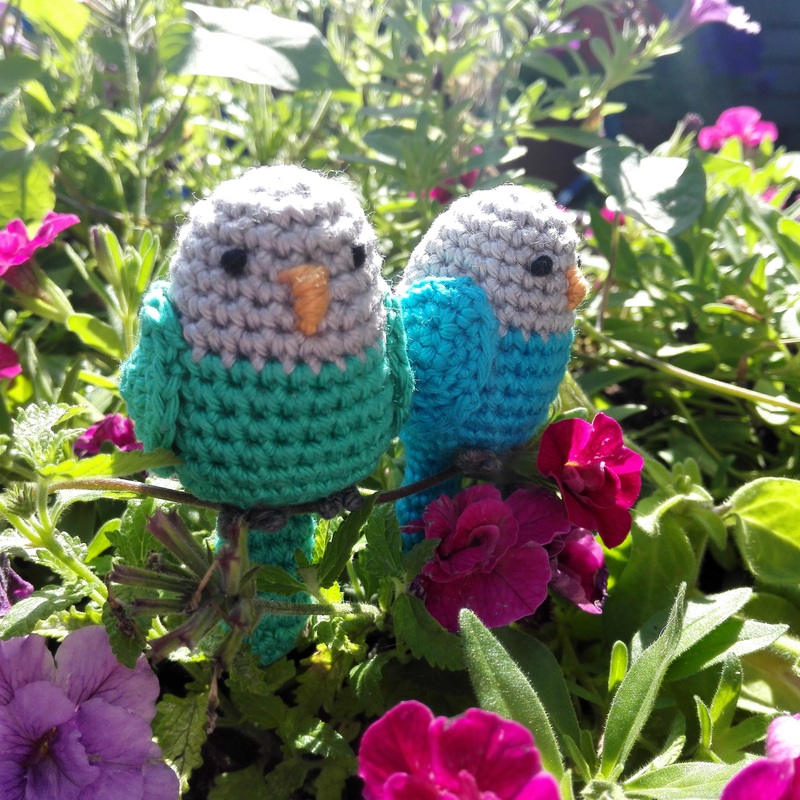 I used cotton yarn and a 2,5mm hook and my parrot is 5cm/2 inch. Embroider eyes (I used french knots) on row 5, beak between row 5 and 8.